eyelets can be in silver, old gold, gold or gunmetal. 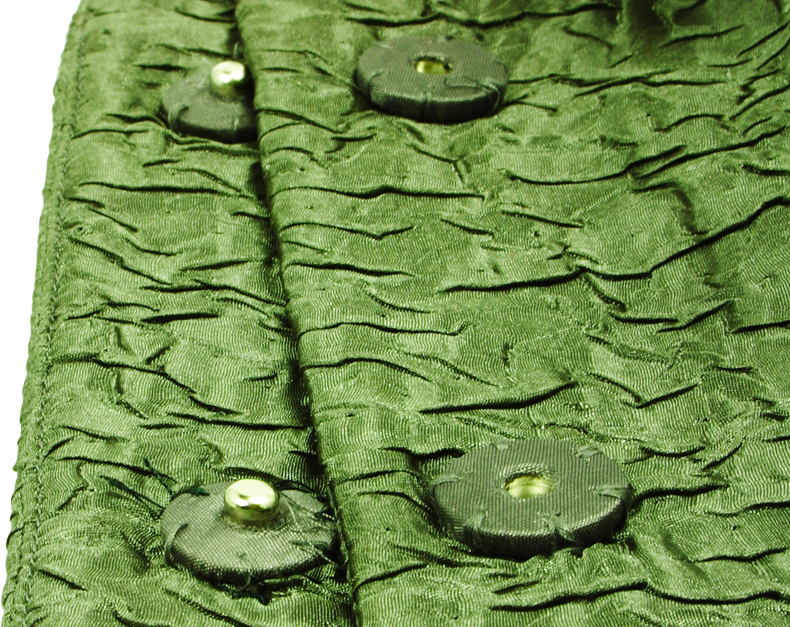 The fabric for press studs must be quite thin or they won’t fasten together! 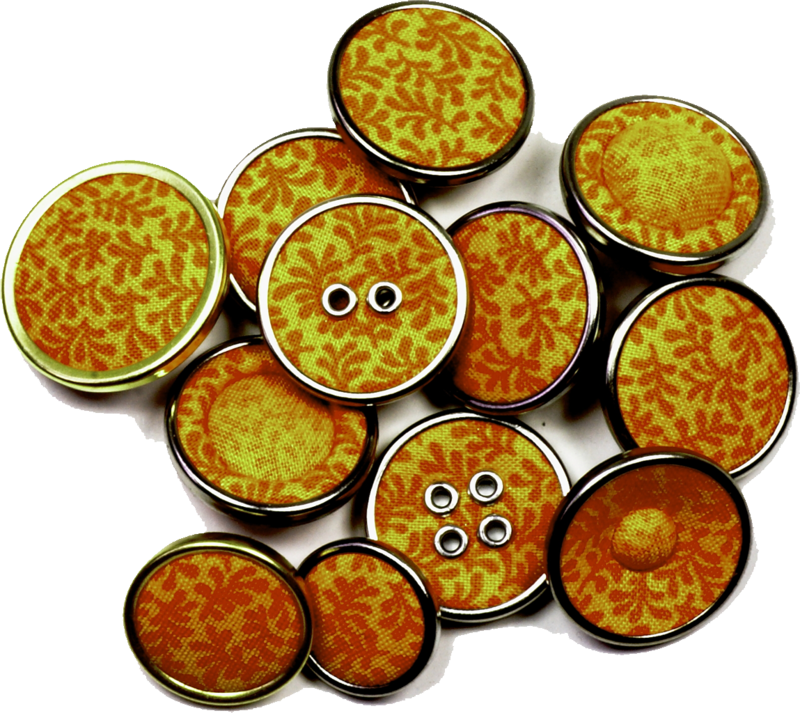 Metal rims can be fitted to dome, flat, sew-through, two-eyelet, four-eyelet, maddy, pearly and opal buttons. Available in gold or silver, in sizes 24, 28, 32 & 36. Cost is 50p each on top of the button price. The button size guide must be printed onto paper at a 1:1 scale for it to work. You may have to deselect “fit-to-page” or “shrink-to-page”. The sizes on the screen will not be accurate! Print out the PDF and then check for calibration by placing a 2p or 1p coin over the corresponding image and measuring with a ruler against the 10cm scale to ensure accuracy. NOTE: Button sizes are always in lignes – pronounced “lines” – e.g. 32”’ or 32L means 32 lignes. There are forty lignes to one inch. So, 40’’’ = 1” = 25.4mm. 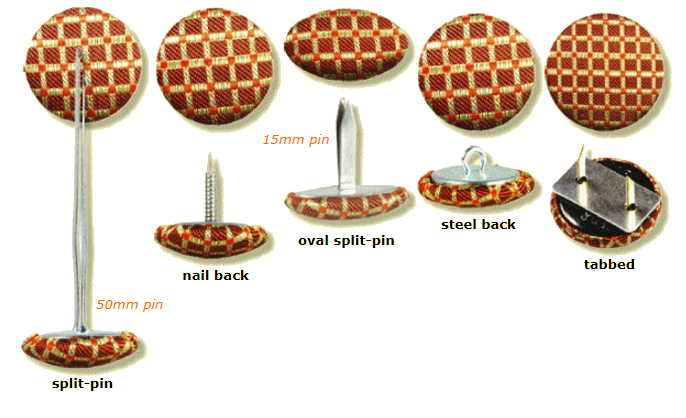 Be aware that differing fabric thicknesses means that fabric covered button sizes can never be absolutely precise! When placing your order for buttons be very careful to use the correct units. Our default position is that you mean lignes, unless it is explicitly clear that you don’t! Black or white plastic backs are standard for most buttons. We will choose black or white as appropriate unless you specify. To make each button from a specific part of fabric. Double charge for two-fabric buttons. of fabric, e.g. chiffon over silk or lace over satin.